This looks like a really interesting book – though with two young kids I’m struggling to find the time and energy to read at the moment! Is this an online book club or a ‘real life’ one? Many thanks for stopping by when you are a busy bee…the book club is a ‘real life’ one. Perhaps there is the opportunity to make it work online too…you have given me food for thought! 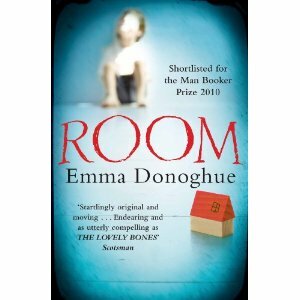 I absolutely LOVED Room – it was so completely different from anything else I’ve read, it was enormously compelling, and it managed to be absolutely horrific and hugely uplifting at the same time. Definitely the best book I’ve read so far this year.